There are several blepharitis home treatment remedies that can help give your tired and aching eyes some relief. After all, your eyes are two of your most important organs. They are the tools which you use to visualize the world around you. When a condition like blepharitis happens, many people start to realize what a gift it is to have healthy eyes without the burden of constant pain. This isn’t to say that the negative aspects of blepharitis cannot be overcome, though. Blepharitis home treatment is possible for people of all budgets. On this page, we will demonstrate everything you need to know about blepharitis before informing you of the various different blepharitis home treatment options. Since this is an illness which may not disappear completely even with successful treatment, anybody suffering from this condition needs to first and foremost be aware that they need to commit to a treatment regimen. 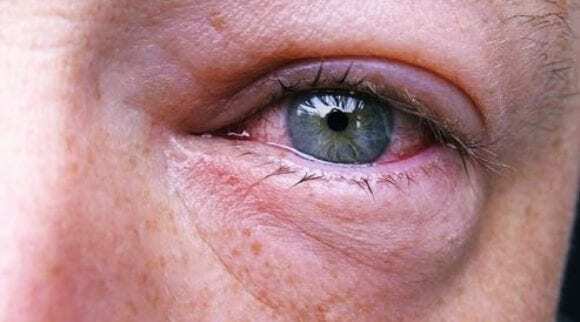 In this article we go over what blepharitis is, the signs and symptoms of it, and why some people develop the condition. Keep scrolling to skip the background information and get right to blepharitis home treatment and remedies. Blepharitis is the term used for the condition which results from clogged or irritated oil glands on your eyelids. Blepharitis is a condition which can be noticed by an array of symptoms and comes from many different potential sources. To break down what blepharitis is, let’s start by giving a full description of the condition. Once we establish the basic background knowledge of what this condition is, where it comes from, how to spot it, and so on, anybody who suffers from this condition will feel informed and confident to begin the blepharitis home treatment process right away. Having your meibomian oil glands become clogged or irritated is considerably uncomfortable once the corresponding issues start to develop. The oil glands themselves can be clogged or irritated from a variety of different sources, though. It is this action alone which can begin the development of blepharitis. The oil glands becoming clogged or blocked is not the inherent issue. Rather, it is the fact that the problem sits and develops for days or weeks. The skin becomes irritated, inflamed, and causes infections and massive levels of discomfort for the sufferer. Many people may confuse the development of blepharitis with a temporary acne breakout around the eyes or pink eye. The implications are much different. The malfunctioning of your meibomian glands will cause your eyelashes to eventually build up a pile of crusty, dirty bacteria grime on your eyelashes. The presence of this can cause further inflammation and infection if left alone. This is one of the most visually-present confirmations that you, indeed, are suffering from blepharitis. It can be a very humiliating and unsightly problem for the sufferer to have. The crusty material on your eyelashes will typically have a yellow color to it. It will stick to the base of your eyelashes. Typically, this can be easily seen up close (but it’s much easier for your eye doctor to visualize with their equipment). The eyelashes themselves may grow abnormally as a result of the presence of this crusty grime. Those who are proactive and keep this area clean after noticing the problem can help kickstart the treatment process. With all the other parts of the recipe in place, the most prominent symptom of blepharitis, which usually causes the sufferer to act, is the inflammation and infection which can develop. Due to the implications of the location, it is highly recommended to not take any strong physical action. In other words, if you imagine a giant buildup of pus underneath your eyelid, do not try to pop it or drain it on your own. Remember that any sort of home surgery or treatment which involves you forcibly bringing out the pus can only worsen the infection. To treat blepharitis and styes, you need to treat the source of the problem… Not just the end result. Perhaps the most uncomfortable aspect of developing blepharitis is when a cyst (or stye) develops on your eyelid. Of course, cysts are already uncomfortable enough on their own. When they are located on your eyelid, it can have reaching impacts on your mental health, vision, aesthetics, and even personal comfort. 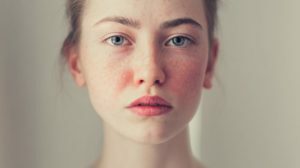 Acne (and similar styes) can already lead its sufferers to feel less confident or attractive than those who don’t have it. Understandably, the eyelid is one of the absolute worst places that you can develop a cyst. Sure, there are parts of your body where there are more sensitive nerve endings. Typically, a cyst on your eyelid develops when the crust on your eyelids is left there to infect your pores. 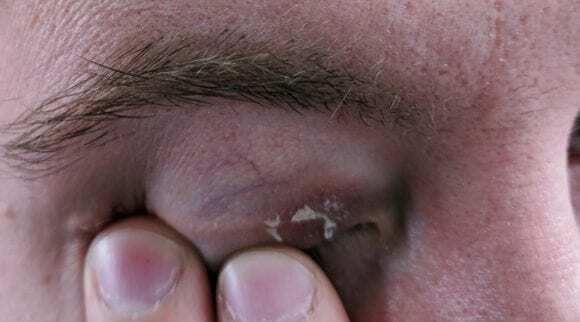 Remember that, when oil glands on your eyelids become clogged, it can lead to styes such as this, blepharitis, and meibomian gland dysfunction (MGD). Presence of a stye on your eyelid. Noticeable crust and grime on eyelashes. Redness and inflammation around eyelashes. The most common giveaway that one may have blepharitis is the presence of a stye or a series of styes around their eyes. 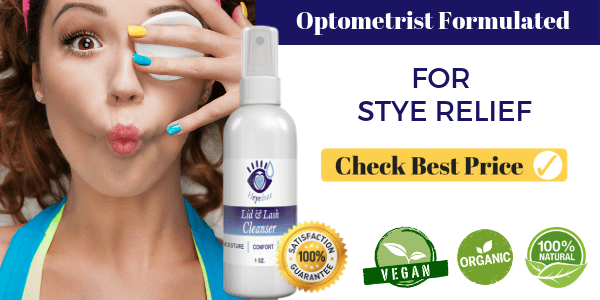 Since an issue like this is typically caused by some sort of malfunction in the oil glands or hair follicles, the presence of styes along with any logical problems that can result from such an issue can help you to easily diagnose the issue as blepharitis. Where Does Blepharitis Come From? Although the end-result of contracting blepharitis is pretty clear and easily described, the origins of the condition itself are not always the same for each person. After all, the sufferer needs to be aware of the many different means by which inflammation, infection, and other conditions can cause blepharitis. In many cases though, the cause isn’t as important as the treatment. However, if you can pinpoint what caused your case of blepharitis, you will be that much closer to being able to pinpoint why you had the issue, and how to prevent it in the future. To assist you in developing an idea as to why you have blepharitis, here are some of the common means by which one can contract this condition. Keep in mind that a combination of the following issues can also be the culprit. Those who have seborrheic dermatitis likely already know who they are. However, if you are unsure what this is, think of it as being a similar problem to blepharitis (or dandruff) taking place on your scalp. Those who suffer from seborrheic dermatitis may notice crusty buildup in their hair. The crusty buildup can reach all the way down to your eyelashes, as these people will often suffer from blepharitis as well. Once the buildup reaches the eyelashes and starts to cause clogged or irritated oil glands on your eyelids themselves, the condition turns into blepharitis. This means that one can suffer from both seborrheic dermatitis and blepharitis simultaneously. It is likely that those who develop blepharitis from this condition were already aware of the issue and had been dealing with it. If not, start today. Yes, mites and demodex can live on your eyelashes. These mites can create a habitat in your eylash follicles, which goes underneath the skin. Of course, this leaves the sufferer prone to complications. In this case, the oil glands begin to become clogged. When this happens, it is very easy for your eyelashes to develop a crusty–like material and grow abnormally. Of course, eyelash mites (or Demodex) can spread around to other parts of your skin and create problems that you simply do not want to deal with. As a result, anybody who believes that eyelash mites or lice may be the culprit of their blepharitis should begin their blepharitis home treatment today. Better yet, you may consider bypassing blepharitis home treatment and instead go straight to a medical professional. Rosacea is a chronic inflammatory skin condition which causes one’s skin to show red marks and patches. There can be broken blood vessels and bumps on your eyelids, and even problems seeing if it develops around your eyes. Worst yet, the problem of rosacea can also eventually cause blepharitis. This is a condition which can affect much more than just the eyes. It may be seen on your nose, cheeks, chin, forehead and so on. In fact, rosacea can be caused by many of the same variables which can lead to the contraction of blepharitis. In reality, they are very similar illnesses. The location of the problem’s typical source is what marks the largest difference between them. Problems with the meibomian glands and the subsequent inflammation around the eyes can also be brought on by allergies. 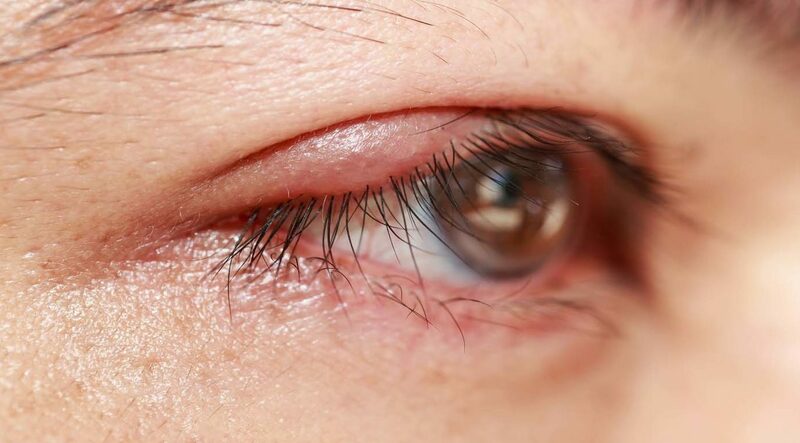 If one has an allergic reaction to their environment, a prescription medicine, over-the-counter pill, type of food, and so on, the effects can also cause blepharitis. However, the allergies and complications don’t necessarily need to come from random outside sources. Items people choose to use such as facial cosmetics and contact lenses can also cause allergic reactions and the development of blepharitis. A doctor might instruct you to stop using contact lenses, eyeliner, and makeup in order to pinpoint the cause of your blepharitis. You can also determine if this caused your blepharitis by isolating the other variables away from this one. Bacteria can develop and grow inside your oil glands from a wide variety of sources. In fact, there are certain places where all you need to do is walk around and bacteria will find its way onto your skin, and even eyelashes. We are all covered in bacteria every day! But when bacteria overpopulates in the oil glands, they can become blocked or inflamed. As a result, a bacterial infection from any sort of outside source can also cause blepharitis. This type of blepharitis usually is a lot easier to treat than some of the other forms of blepharitis which spawn from other conditions or problems. Mites, as an example, can also bring bacterial infections to your eyelash oil glands. 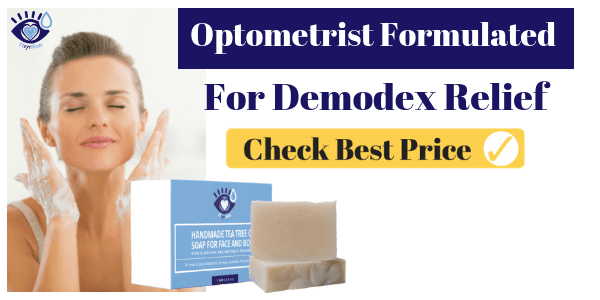 However, an issue such as demodex implies that the problem is much more complicated and must be treated even more aggressively than your standard blepharitis. Finally, there are certain people whose bodies simply work in a different manner than others. 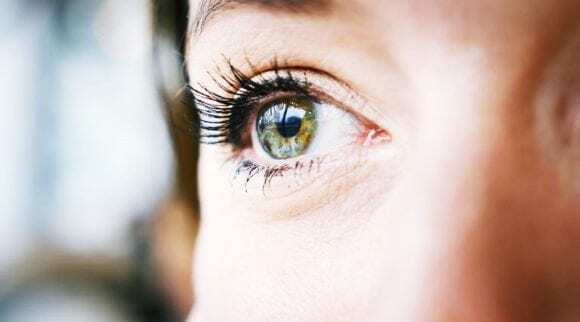 Certain people may think that there is something wrong with themselves when in reality, their meibomian glands are simply not functioning properly. If this is the case, it is much more likely that one will need to receive some sort of professional assistance. They should try home treatment, but they should know that their condition (especially in the presence of atrophied glands) may require further treatment. 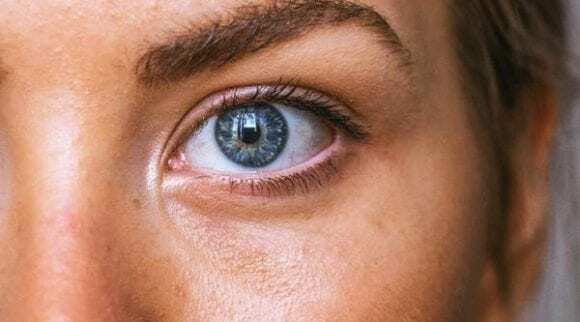 A problem as minuscule as the improper functionality of oil glands in your eyelids is something that anybody can handle if they know what they are doing. However, there are also many different professional treatments where a doctor goes in and attempts to correct the issue with your meibomian glands. There are also other options you might consider which we will discuss below in our blepharitis home treatment options section. Burning, stinging sensations in the eyes. Once you are able to diagnose your condition as blepharitis, you can easily start to determine the potential cause of the problem and begin treating your condition accordingly. If you experience a handful or all the symptoms described above, it is possible that you are suffering from blepharitis and should begin pursuing options for blepharitis home treatment or professional treatment immediately. Before you rush into blepharitis home treatment and invest in regimens for improving your health, there are a few things which are important to take note of. The treatment of any sort of illness or disease, regardless of its origin or implications, requires one to be fully aware of what the problem is, where it comes from, and how to best treat it. As far as blepharitis is concerned, anybody who believes that they may have this issue needs to be confident that this is the problem. Otherwise, you could spend a considerable amount of money and time on treating the wrong problem. Before you decide to begin blepharitis home treatment, here is a full description of how you should act when you suspect that you may have blepharitis. 1. Be sure you have the proper diagnosis. It would be unwise to begin treating any sort of illness with the incorrect diagnosis. Imagine trying to treat cancer with antibiotics, as an example. Since there are many potential problems that can form around your eye, make sure to be patient and carefully confirm that blepharitis is indeed the issue which you are suffering from. A common error in the field of medicine is to believe that you have a condition when in reality, you don’t. This can cause the doctor and patient both to spend valuable time and resources pursuing a treatment plan that will simply never work. Do yourself a favor and confidently confirm that you have blepharitis before pursuing blepharitis home remedies. 2. Pinpoint the cause of the issue. Once you know confidently that you have blepharitis, you can begin pursuing blepharitis home remedies with a heightened peace of mind. However, this is only the first step of the process towards the alleviation of the condition. The next step which one must take before starting their blepharitis home treatment is to figure out what is causing the problem in the first place. Above, we described several of the potential causes for blepharitis. Since many of these causes are not necessarily related or linked together, the blepharitis home treatment process is heavily dependent on the cause of the issue. Blepharitis home treatment for demodex, as an example, would be much different than one caused by over-the-counter medication use. 3. Treat the cause, not the symptoms. Once you know that you have blepharitis and accordingly have a general understanding of what is causing your personal circumstance, then you will much more easily be able to treat the problem. However, there is one important distinction between treating the symptoms and treating the cause of the issue. If you simply treat the symptoms and have a form of blepharitis which involves a thorough treatment, you can end up wasting a lot of time. For example, imagine that you know you have blepharitis caused by mites in your eyelids. One might try to treat the inflammation, however, if they don’t fight the demodex themselves then the problem will continuously fade and then reappear. For this reason, once you know the exact cause of your blepharitis, adjust your treatment plan accordingly to best fight your personal circumstance. Now that we have broken down most of the important background information regarding blepharitis home treatment, let’s go ahead and explore many of the various blepharitis home remedies. Although each of the following options will work with various cases of blepharitis, make sure to keep in mind that individual circumstances and conditions may change your ideal treatment regimen. As a result, pick and choose from the following list while keeping your exact condition and cause of blepharitis in mind, and don’t forget to always speak with your doctor before beginning a treatment regimen. Although we do our best to find blepharitis home remedies which are universal and work for all cases of the issue, there are individual cases which will definitely require additional treatment. Warm compresses and cleaning your eyelashes are one of the easiest blepharitis home remedies that everyone, regardless of their severity and circumstance, should begin using. To do this, all you will need is a towel and some warm water (at the very least). Lay yourself down next the tub of water, submerge the towel into the water, wring it out, and then immediately compress it onto your eyes. This should be similar to blindfolding yourself. However, the difference here is that you will not leave the towel on your eyes for too long. After each compression, hold the towel there for about 10 seconds. After waiting, dip it back into the water and repeat. Once finished, make sure to fully clean out your eyelashes to eliminate any excess bacteria or grime that is present. Do this at least two to three times daily. If you want to avoid the mess of towels and water, check out the Heyedrate Warm Compress Eye Mask for easy relief! Afterward, you shoud be cleansing your eyelids with a hypochlorous acid cleanser such as the Heyedrate Lid and Lash Cleanser. As you may already know, there are many health benefits which can come from the consumption and use of tea. Black tea, in particular, is much more than just a morning beverage. In this circumstance, black tea bags can be used for their anti-inflammatory and anti-bacterial components. That’s right. You can use black tea bags as a blepharitis home treatment. Of course, this is one of the blepharitis home remedies best left for a fan of black tea. Otherwise, it may be a chore to acquire the tea bags. To perform this blepharitis home treatment, simply make tea as you normally would. Once you are finished, allow the excess boiling water to come out of the bag. Then, place it on your eyelids for 10 – 15 minutes before discarding. 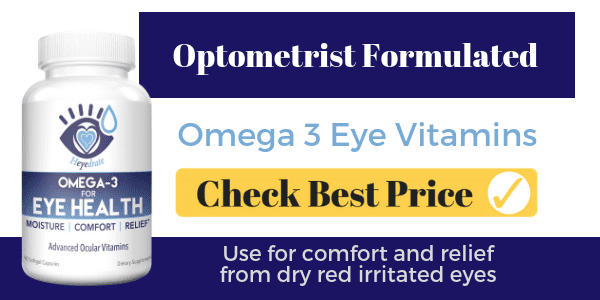 This is a great blepharitis home treatment option for those who have a condition which spurs from ocular rosacea. Omega-3 fatty acids work to help your eyelash oil glands function properly. 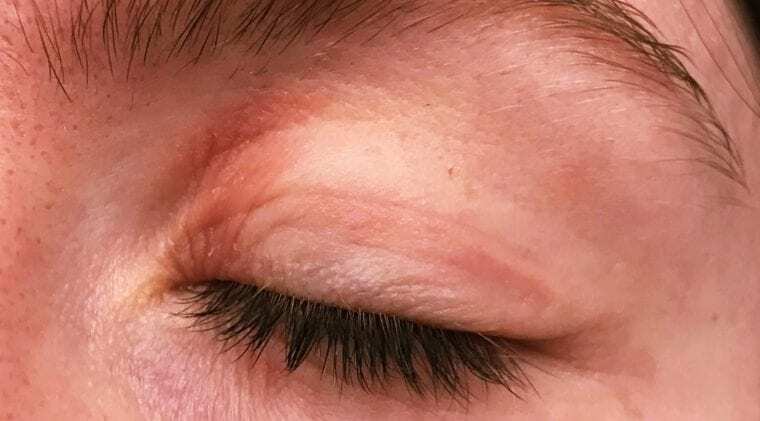 This type of treatment has been particularly helpful for anybody who also suffers from rosacea or meibomian gland dysfunction (posterior blepharitis). To treat your blepharitis with Omega-3 fatty acids, one can either take a supplement or focus on their food. Dishes which contain fatty fish, flaxseeds, and walnuts are common products that contain Omega-3 fatty acids. However, there are also supplements available at pharmacies which provide you with immediate over-the-counter access. Those who suffer from rosacea-born blepharitis should immediately consider Omega-3 fatty acids as one of their initial blepharitis home remedies. Aloe vera is one of nature’s true miracles. There are many potential uses for this plant. In this case, aloe vera is a wonderful option for those who wish to try the various blepharitis home remedies. Aloe vera is a moisturizing and natural anti-inflammatory plant capable of kickstarting your blepharitis home treatment. It can also work to help reduce the redness and swelling around your eyes. To try aloe vera treatment, start by collecting some of the leaves of the plant. Start by cutting open the leaf. Once inside, you will notice gel which sits inside the leaf. Remove this gel and rub it onto your eyelid. Let the gel sit on your eyelids for 10 – 15 minutes. Once finished, rinse your eye off and conduct the treatment two to three times each day. Those who suspect that their blepharitis home treatment needs to involve some sort of targeted action against demodex should make tea tree oil one of the main weapons at their disposal. This product contains chemicals which can kill the mites which are crawling around your eyelashes once and for all. Then, you can focus on the issues which resulted from their presence in the first place. However, a treatment which has the power to kill living organisms (in this case, demodex mites) can also have the power to harm your body. Hopefully, this goes without saying. Tea tree oil, although a powerful treatment for mites, can also cause further irritation. Many people avoid this by mixing tea tree oil with another harmless oil which can’t hurt the skin or body. To make this easy, and ensure you’re not going to harm your eyes, check out the Heyedrate Tea Tree Oil Soap, which you can use to wash your hair, body, and face! Castor oil is another one of the great blepharitis home remedies for those who need some alleviation of their symptoms. Since it works to lessen the inflammation caused by blepharitis, this is another great product for blepharitis home treatment. It can also help alleviate some of the itching, pain, and irritation of blepharitis, helping to usher in further treatment down the road. Blepharitis home treatment with castor oil is simple. Start by washing your eyes and face and then conducting a warm compress (instructions above) before going to bed. Once your face is clean, apply castor oil to a cotton swab and wipe it onto your eyelids. Let it sit on your eyelids overnight. If done successfully, you should notice less crusting on your eyelids. Do this regularly. Much like aloe vera and castor oil, coconut oil is one of the blepharitis home remedies which has natural anti-inflammatory properties. The ingredients of coconut oil also can work to eliminate any sort of itching and pain caused by blepharitis. As a result, coconut oil is one of the best blepharitis home remedies which can help alleviate the negative symptoms. However, coconut oil should not be seen as the possible means of blepharitis home treatment. In reality, it is only one of the many tools you have at your disposal. To try this treatment, simply dab some coconut oil onto a cotton swab and spread it onto your eyelids, concentrating near the lashes. Let it sit for 15 – 20 minutes, wash it off, and then repeat the treatment daily as needed. Typically, people will do this two to three times daily. Hopefully those who have blepharitis caused by contact lenses, facial cosmetics, or both are already well aware that these things can lead to the development of blepharitis. As a result, one of the most important things that those who wear cosmetics or contact lenses and suffer from blepharitis need to do is quit using these products immediately. Sure, there are definitely benefits which can come from the use of these products, from looking better, to being able to see better. However, when your personal health starts to take a toll because of the products you use, you have the ultimate need to cease using them for a while. You can always try using these products again later on once you have gotten your blepharitis under control. Did you know that blinking helps promote the production and spread of tears across your eyeball? Tears are something your eye naturally produces to let them sit comfortably in their sockets in the first place. Otherwise, the air would cause your eyeballs to dry up and become useless. If you experience discomfort on your eyes themselves, a little extra blinking can work wonders. Think of excess blinking as a necessary exercise if you are seeking blepharitis home remedies which can be done easily. Start by blinking forcibly once each second or so for a few minutes and notice the immediate results it can have. If you notice that this exercise has little impact on you, you may need to focus on fighting the inflammation, mites, or whatever the relevant actor in your personal condition may imply. However, this is a great way to help produce some immediate natural relief. If you work at a computer all day, you also need to check out the 20-20-20 Rule to give your eyes a break! As we mentioned, seborrheic dermatitis (or dandruff) is one of the common causes of blepharitis. As a result, it’s important to proactively control your symptoms before they get worse. If you have dandruff and/or blepharitis, treating the source of the problem can help alleviate the symptoms and help you to get your life back on track. After all, life can be hard enough without a buildup of crusty flakes in your hair and eyelashes. With them, it’s only harder. A great way to treat dandruff naturally is to mix together apple cider vinegar, tea tree oil, coconut oil, and a tad of honey together. Create a liquid mixture that is similar to shampoo. Then, each time you take a shower put some of this mixture both on your scalp and (very carefully) on your eyelashes. By itself, this can be a very effective dandruff and blepharitis treatment. Alternatively, you can use the Heyedrate Tea Tree Oil Soap in the shower. With the above options in mind, let’s go ahead and now break down seven steps that anybody going through blepharitis home treatment should consider. Each of the steps was carefully chosen with the best blepharitis home remedies in mind. After you choose which ingredients will work the best for you to fight your blepharitis, it’s time to start acting. 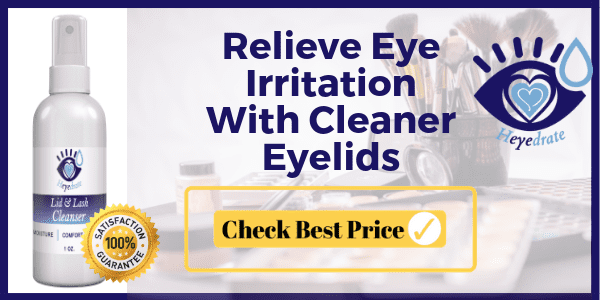 The following steps are developed to assist anybody who wants to use the best blepharitis home remedies and treatments and start taking care of their eyelashes today. It’s important to note that you will need to explore the many ingredients and ideas described above before you will be able to carry out the following steps for blepharitis home treatment. The presence of bacteria and/or mites in your eyelash oil glands is going to be the prime target of your treatment. This is the reason for your condition and accordingly, is what you should carefully plan to take care of. Of course, bacteria and mites are two very different potential problems. As a result, it’s important that you first carefully pinpoint what is causing your blepharitis. If you start by removing the infection or cause of the infection, you can begin to effectively treat the symptoms of the issue which resulted from the initial cause. If there is simply an excess of bacteria in your oil glands, start by cleaning this out until you can figure out how to treat the oil glands themselves. In any case, pinpoint the cause of blepharitis and get it under control first. Using a tea tree oil soap will ensure you’re killing both bacteria and demodex. As we discussed, warm compresses are something which should be done routinely. These should be done at least two to three times daily, regardless of whether or not you think you need to. Since warm compresses can help the oil to become waterier and runnier, it can help you to unclog trapped oil from your eyelash oil glands. Warm compresses are also important for therapeutic reasons. Negative symptoms such as dry and irritated eyes can receive a breath of fresh air from a simple warm compress. When done correctly, one can massage out the oil in your glands causing the issue in the first place. Once cleaned out, you can switch focus to ensuring the proper functioning of the glands themselves. Similar to routine warm compresses, there should also be a focus on the crust and dandruff buildup. Those who have dandruff on their hair should focus on washing your scalp and eyelashes several times daily. Focus on each hair, removing any sort of grime or dirt so that it cannot build upon the eyelash itself. Then, use Heyedrate Lid and Lash Cleanser to remove crust and grime and ensure a healthy eyelid cleansing routine. This process serves two noteworthy purposes. For starters, one removes the grime which can contribute to inflamed cysts and infections and keeps the area clean and sanitary. Crust cleansing and washes should be done several times daily. Perform as needed to remove and clean the area adequately. The cleanser can be used up to four times daily. This can mean several different things. If you like to wear cosmetics on your eyes, you need to stop doing so immediately. There are of course, aesthetic benefits which come from using cosmetics to cover up the issue of blepharitis. However, these cosmetics themselves do absolutely nothing to fight blepharitis, and will even make the issue much worse in many cases. As a result, stop using cosmetic products where blepharitis has developed. Additionally, anybody who uses contact lenses on their eyes needs to be aware that they can also be a contributing factor to blepharitis. All of the effective blepharitis home remedies can only be used when aggravating products like cosmetics and contact lenses are removed from the equation. Otherwise, you are wasting your time and not conducting a blepharitis home treatment which has been tested and confirmed. 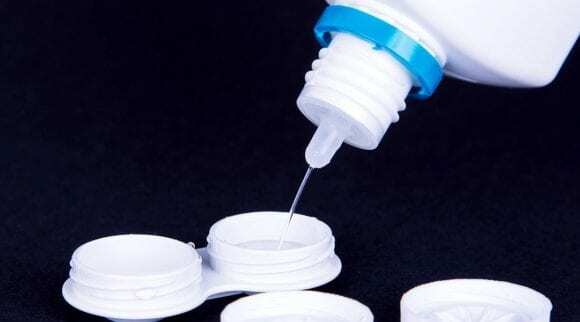 There are certain products which can be consumed to help with your blepharitis home treatment. If you focus on eating healthy, anti-inflammatory foods, you can start to treat your blepharitis on another front. Of course, the food that you eat is what your body uses to energize, reconstruct, and defend itself from problems like blepharitis. Those who consume oily, fatty, and inflammatory foods will notice extra difficulty with treatment. One of the best ways to watch your eating habits and use them to assist with blepharitis home treatment is to eat natural foods which are healthy. Avoid things like fried food, alcohol, processed meat, excess sugar or high-fructose corn syrup, and so on. Eat foods as is, meaning foods with nothing else added (try broccoli, spinach, kale, wild caught salmon, etc) Remember that your eating habits will have a direct effect on your body’s ability to defend itself effectively. Choose carefully what you eat. It turns into your body’s natural ammunition. Whether or not you know it, blinking is actually perhaps the most immediate natural defense you have against blepharitis symptoms. Many people may unknowingly stop blinking as they age. As a result, the eyes gradually become less lubricated, and can even develop clogged oil glands. When the oil in the glands is not used, it can dry out and clog up the gland itself. As a result, one of the best ways to ensure that your glands stay open and functioning properly is to take the extra effort to blink. Each time you blink you are releasing oil which was stored in your gland, promoting the healthy movement of it. Blink as much as you can in one minute a few times a day, and you will naturally start to develop better oil secretion habits for your eyes. Finally, antibiotics are one of the final frontiers of blepharitis home remedies since they are so simple and effective. They are also a popular route of action for those who develop cysts (styes) on their eyelids. Antibiotics require that you visit a doctor to receive a prescription. Since this can be a simple process for many, this can be one of the best blepharitis home remedies. We will discuss further professional medical options for blepharitis in detail below. Those who choose to visit a doctor for their problem may have exhausted all the above blepharitis home remedies. These people may also simply want to avoid trying to handle things on their own. Since an eye doctor has to go through many years of training and education before they can treat you, blepharitis is only one of the possible conditions that they will masterfully know how to treat and handle. If you want the quickest recovery, simply allocate some extra funds in your blepharitis treatment budget and make an appointment with a doctor. A visit to the doctor will remove all of the difficult areas from fighting the condition. 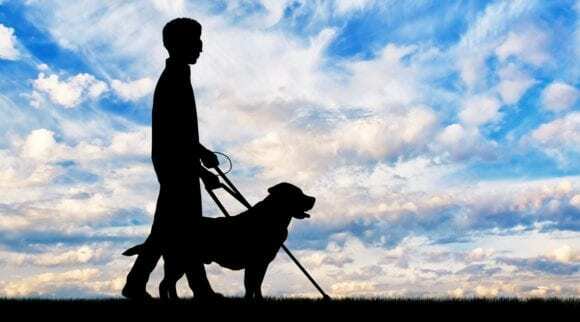 This can include things such as background knowledge, research, and a confident diagnosis of the problem. Once you factor in the many different potential causes of blepharitis, those who simply want to have a shortcut to their treatment should cast their pride aside and simply visit a doctor. A visit to the doctor can even, in many cases, shorten the total time you spend treating your blepharitis. Finally, perhaps the most effective means of blepharitis home treatment involves a visit to the doctor to receive prescription medication, although we believe home remedies are worth trying first. This can range from a wide variety of anti-inflammatory medications to antibiotic medicines and combination formulas. Since blepharitis treatment typically involves a consideration of both the inflammation and presence of bacteria, a doctor’s prescription will reflect what your most immediate needs are. The prescriptions that you receive will consider various things. One thing of the most immediate importance is the source of your blepharitis. Of secondary importance is the severity of your case. Those with advanced cases may go straight to surgery or extreme treatment procedures. Finally, a doctor’s choice of prescription will also consider your personal symptoms and will choose the medication best known for fighting your personal symptoms. In other words, prescription medication is one of the most efficient avenues towards immediate relief. 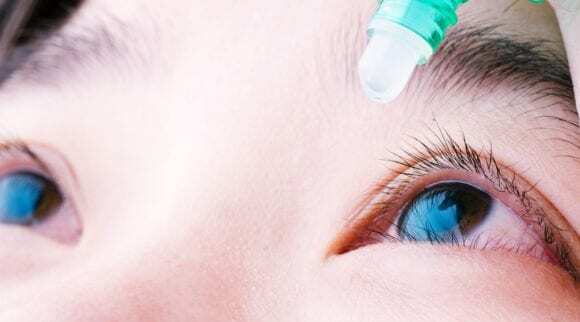 There are steroids which you can use for your eyes, and these steroids come in the form of eyedrops or some form of an ointment which is very easily applied. More than likely, steroids are reserved for some of the most advanced cases where other traditional means of treatment are not seen as a viable option. Regardless, steroids are a great means to control the inflammation around your eyelids if it has developed outside of your immediate range of control. There are certain advanced cases where a doctor sees no other suitable option than to undergo surgery or other procedures. Surgery for blepharitis can be invasive on your eye, but also extremely effective. This is typically reserved for cases where the doctor does not view medication and treatment as the best route of attack. Those who are on the cusp of developing other much worse conditions as a result of blepharitis are top candidates for surgery. Surgery for blepharitis typically involves manually probing the eyelid glands, or it may involve a device called LipiFlow or Miboflow. In any case, remember that these procedures themselves can also contribute to the development of much worse problems if not performed appropriately (although this is rare). This means that choosing an expert doctor for your procedure is important. Just as with any sort of medical complication, there is a certain degree of risk for those who choose to treat things on their own. Of course, with the right tools and resources it is possible to treat blepharitis at home as effectively as you could have with a doctor. However, it’s important to be knowledgeable and confident about the illness diagnosis first before you should start treating yourself. The worst thing you could do is treat the wrong condition using methods which simply won’t work. Before you start blepharitis home treatment, make sure that you are aware of the various risks that can come along with doing things on your own. Ideally, you have a medical professional with you throughout every step of your journey fighting blepharitis. But it is not possible for everybody to afford a great doctor. Accordingly, here are the most immediate risks that come with trying to fight blepharitis on your own. Having an incorrect diagnosis, as we mentioned, can be very destructive towards the treatment process. On the contrary, it can also mean that you have a condition which is milder than blepharitis. It is the possibility that you are treating a much more advanced and delicate problem unknowingly which is the ultimate risk here. For best results, don’t try to immediately diagnose and handle the problem on your own. Whatever your individual circumstance or case may imply, make sure that you take the effort to get a proper diagnosis so that you can fight the right treatment battle instead of one which will waste your time and resources. Once you know that you have blepharitis, it’s important to then figure out what is causing the issue in the first place. 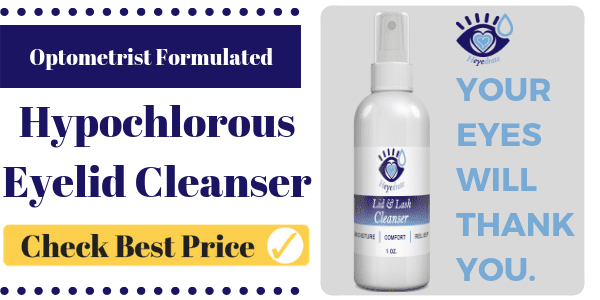 Since there is a wide array of potential causes such as rosacea, scalp dandruff, allergies, and so on, knowing what is causing the issue will help you to find the best blepharitis home treatment for your individual case. After all, blepharitis caused by mites will be treated much more differently than one caused by allergies. In any case, there are two initial steps that one must take during the initial treatment process. First, make sure that you get the right diagnosis. Secondly, it’s critical that you then immediately determine what exactly is causing your blepharitis. Without these two critical pieces of information, you will be unable to effectively treat your blepharitis. Instead, it will be more of a guessing game treatment run on trial-and-error. Once you know the issue and where it comes from, you are then able to start effectively treating the issue itself. After all, treating blepharitis incorrectly is essentially the same as no treatment at all. Those who choose to conduct blepharitis home treatment are more prone to ineffective treatment and monitoring of the problem. After all, they are not medical professionals with years of experience treating and monitoring their condition. Many people who conduct blepharitis home treatment may gradually turn lazy or even stop doing the effective parts of their treatment. Or even worse, they may do the wrong treatment based on an incorrect diagnosis. If you want to avoid this problem from occurring, do your homework. Once you know what you need to do to treat your blepharitis, stick to the routine until you are confident and happy with your results. As we will elaborate upon, anybody who either chooses to ignore their blepharitis, or even worse, do the wrong treatment altogether, can start to develop conditions which are much worse than the initial blepharitis problem. How bad? Well, imagine that you start to lose your vision gradually. Once you start to lose your vision, you may then hastily decide to act and make an appointment with your local eye doctor. Don’t be scared off by this possibility, though. Anybody who proactively handles their blepharitis and goes through whatever steps necessary to solve the issue will not necessarily need to go down this path. Of course, there are issues where the condition can evolve to this point even with treatment. The possibility of much worse conditions can be a critical agent in forcing someone to make an appointment with the doctor instead of pursuing blepharitis home treatment. Hopefully you already determined and recognized the fact that a visit to the doctor will mean that your blepharitis condition will subside and be taken care of much more rapidly and quickly than blepharitis home remedies. If you choose to go with the home treatment route, then you need to be prepared of the possibility that the treatment process for your case of blepharitis will turn into a long, grueling process. You shouldn’t expect blepharitis (or just about any sort of disease) to disappear overnight. Once you determine that you have a certain complication, there are then steps which you need to go through to conquer the condition. Blepharitis is no different. Once you decide to pursue the blepharitis home remedies, be ready to commit to an indefinite treatment time frame. Those who want the most instant results should avoid home treatment and go straight to the doctor. Having blepharitis is challenging enough. In most cases, people will quickly take note that they are developing a problem that is, for the most part, outside of their control. Once they reach this point, the person tends to immediately seek help and means of curing their blepharitis. However, this isn’t always the case. There are many instances where people may choose to leave their blepharitis untreated. Those who choose not to take actions and immediately begin to treat the source of the problem once they notice blepharitis are putting themselves at an elevated risk. Of course, there is always the possibility that your condition will subside. Then, there is the possibility that the condition actually gets worse. As we explore what happens when one chooses to leave their blepharitis untreated, the long-term effects of the condition can be worrisome. 1. Crust buildup can get out of control. The crust buildup on your eyelashes may be something which was inconvenient at first, but you left alone. In fact, many people who have crust buildup on their eyelashes don’t pursue blepharitis home treatment right away. These people will be prime candidates for having a blepharitis condition which goes outside of their control, making blepharitis home treatment impossible. Just like many other illnesses, there is the potential that blepharitis can evolve out of one’s control if it is left untreated. One of the very first things that you may notice is that the crust buildup that you had on your eyelids starts to get out of your control. The crust may start to become much worse than it was before. This can be one of the biggest reasons that one may decide to finally pursue blepharitis home treatment or seek professional help. 2. Eyelashes will grow abnormally and fall out. Having nice looking eyelashes which branch out into evenly distributed directions is a luxury. In fact, you may only notice how luxurious it is to have healthy eyelashes once you start to develop a condition like blepharitis. When one fails to start blepharitis home treatment right away, the crust buildup can get out of control and cause problems with your eyelashes themselves. 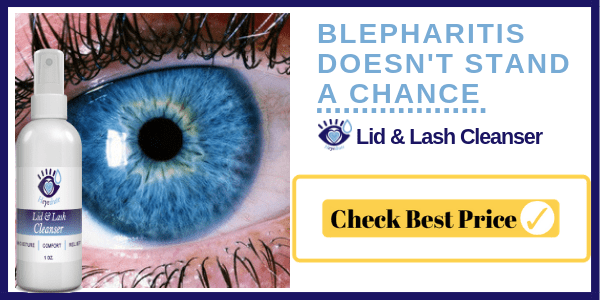 Outside of the immediate effect that your eyelashes start to branch out in odd directions, leaving the blepharitis alone can even cause the death of the eyelash cilia themselves. Imagine losing all of your eyelashes simply because you didn’t act and start blepharitis home treatment. This is exactly what has happened to countless people who failed to begin their blepharitis home treatment after noticing they had symptoms of blepharitis. 3. Eye dryness will continue to get worse. The dryness symptoms that come along with blepharitis may be mild enough that many people don’t immediately notice or act upon the symptoms. Although your eyes becoming dry is a very uncomfortable experience for many, others may not imagine these symptoms to be evidence of a larger complication until things start to evolve out of control. 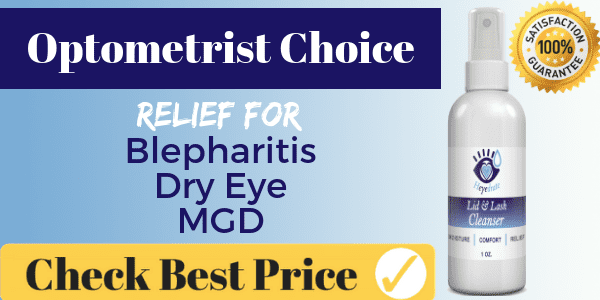 If you choose not to start blepharitis home treatment after noticing that you have the condition, one thing which will gradually become worse is the dryness symptoms associated with blepharitis. Once the symptoms intensify and evolve into other conditions, the user who initially just experienced a bit of dryness in their eyes may soon become overwhelmed by a diagnosis of a problem much more advanced than what it had been before. Corneal ulcers are a painful condition which results from having bacteria (possibly due to the crusty flakes) embedded into your cornea. In other words, this is an open sore that is sitting on your eye. The eye finds itself unable to naturally clean out the infection as rapidly as it might in other parts of the body. As a result, corneal ulcers can cause loss of vision in the eye since the invader is given free reign. Corneal vascularization is when blood vessels start to grow in an invasive manner into your cornea. This is the result of lack of oxygen which can result from having blepharitis. 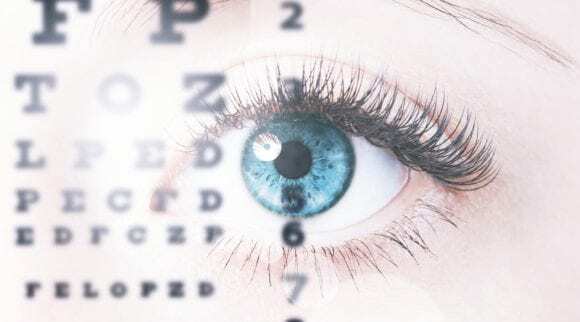 Since blood vessels grow in an invasive manner, your vision can soon become impeded, and even lost, if you aren’t quick to act and visit a doctor. Anybody who thinks they have corneal ulcers or vascularization should immediately visit the doctor. Salzmann Nodular Degeneration is a common condition which can occur as a result of, or alongside the development and improper treatment of, blepharitis. Salzmann Nodular Degeneration is a slow degenerative illness which targets the cornea. This condition is diagnosed by the presence of nodules on the eye. Blepharitis is a disease which is marked by the inflammation and infection of the eyelids. As a result, it can be caused by a wide variety of things such as rosacea, dandruff on the scalp, allergies, or even malfunctioning oil glands. Although it can be easily diagnosed by a medical professional, it can be sometimes difficult for people to pinpoint the cause. Although blepharitis can be treated both at home and by a doctor, it cannot be fully cured in many cases. As a result, anybody who thinks that they may suffer from blepharitis should act immediately to ensure that it doesn’t evolve into a worse state than it already is.